Radiopharmaceutical company Cyclopharm has released its unaudited accounts for the six months to 30 June 2018. The company tends to fly under the radar, but it is a profitable and growing market leader in nuclear lung imaging with operations in Australia and overseas. The group expects to report first half sales revenue for the $6.34 million (1H 2017:$6.06 million), and underlying EBITDA of approximately $460,000 (1H 2017: $860,000). The increase in half year revenues was achieved through sales of Technegas generators to higher margin markets. Individual Patient Administration Set (PAS) revenue was consistent at $4.9 million. The company’s current share price represents a significant discount to the consensus 12 month price target of $1.17. Despite the positive 5% gains in consolidated revenue in the first half, PAS revenue in Germany was $540,000 lower compared with previous corresponding period. The lower revenue resulted from issues between the company and Almedis Altmann GMBH, but management remains confident that the matter will be resolved in the second half of 2018. Cyclopharm finished the half in a robust financial position with net cash of $7.6 million. From an operational perspective, the company signed an extension to the Technegas distribution agreement with Curium in France to 2020. France remains the largest European country market for Technegas with higher volumes expected in 2018 than in past few years. The Technegas technology is a structured ultra-fine dispersion of radioactive labelled carbon. The gas like substance which is produced under the company’s proprietary technology is inhaled by the patient (lung ventilation) via a breathing apparatus. This allows multiple views and tomography imaging under a gamma or single photon emission computed tomography (SPECT) camera for evaluating functional ventilation imaging. Historically used in the diagnosis of pulmonary embolism, Technegas, together with advancements in complementary technology to multimodality imaging and analytical software has now found other applications. 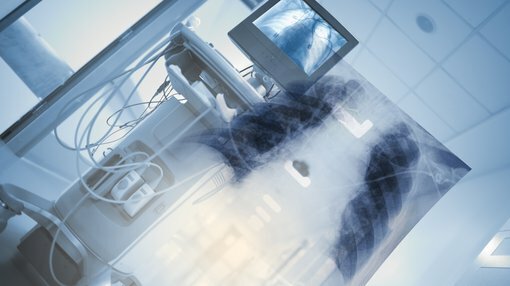 These include other disease states such as chronic obstructive pulmonary disease (COPD), asthma, pulmonary hypertension and certain interventional applications to include lobectomies in lung cancer and lung volume reduction surgery. The company also has a comprehensive range of products in the pipeline at various stages of development which will be targeting billion-dollar global markets.